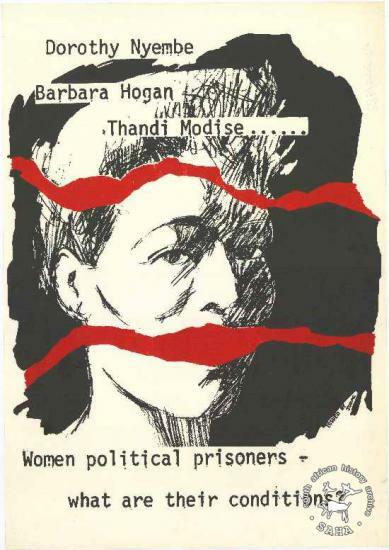 SAHA - South African History Archive - Dorothy Nyembe Barbara Hogan Thandi Modise ...... : Women political prisoners : what are their conditions! Dorothy Nyembe Barbara Hogan Thandi Modise ...... : Women political prisoners : what are their conditions! Title: Dorothy Nyembe Barbara Hogan Thandi Modise ...... : Women political prisoners : what are their conditions!